A human body is made up of many organs that grip the functioning of the body. Human bodies generally follow a pattern of functions. These organs do their own job separately yet in sync. It is very important that these organs are in a good working condition to make sure you are leading a healthy and fit life. India is considered to be a developing country in many aspects, may it technology, real estate, cleanliness and sanitation or healthcare facilities. India has the second largest population in the world. India has seen many a changes in the last two decades, the source of income and GDP has seen a rise and so has the epidemiology of lifestyle diseases. Busy lifestyle, changing dietary habits, lesser physical activities, intensive use of tobacco, alcoholism and many other environmental factors are giving rise to chronic diseases that are turning out to be fatal. Diseases such as communicable, maternal, neonatal and nutritional (CMMND) had been the reason for deaths and disability in the early years in India. Whereas, India has witnessed more deaths due to non-communicable diseases such as cardiovascular diseases and chronic obstructive pulmonary disease, kidney diseases, diabetes, cancer and other chronic diseases in 2016. According to a report of the Global Burden of Disease study, in 1990 non-communicable diseases (NCDs) accounted for 37.9% of all deaths causing about four in ten deaths in India but, in 2016, the share of non-communicable diseases has risen up to 61.8% causing six in ten deaths. It also said that heart diseases caused the most deaths in India in 2016. Ischemic Heart Disease topped the list of causes of death followed by chronic obstructive pulmonary disease (COPD). The other diseases that followed were stroke, diabetes, and chronic kidney disease. Diarrhoeal diseases, lower respiratory infections, and tuberculosis were the leading Communicable Maternal Neonatal Nutritional Diseases causes of death. These diseases have shown significant reduction in prevalence but they still do exist. They are spread across India differently; the eight under-developed states of India like Madhya Pradesh, Uttar Pradesh, Uttarakhand, Rajasthan, Jharkhand, Chhattisgarh, Odisha, Bihar– and Assam are still burdened with communicable and infectious diseases, where as the developed states like Kerala, Goa and Tamil Nadu are highly burdened with Non-Communicable diseases. India has seen a shift in burden of diseases in the last two decades and government of India is working towards providing healthcare facilities to all in order to help people fight against these diseases to lead a better and healthy life. What is Regular Full Body Check-up? Many diseases do not have symptoms until it is too late. And the mild symptoms usually get ignored in the fast paced life we are leading today. It is very important to keep a check on your body condition to make sure all the organs are functioning properly. A regular full body health check up will help you in doing this. An annual full body check-up is a routine yearly visit to your doctor to assess your general health. With a regular full body check up the doctor can evaluate the state of wellbeing and diagnose any possible health problems that may be in the initial stages. With these regular tests and visits to the doctor, the doctor may be able to identify the diseases in early stages and suggest immediate treatment based on the individual’s condition. 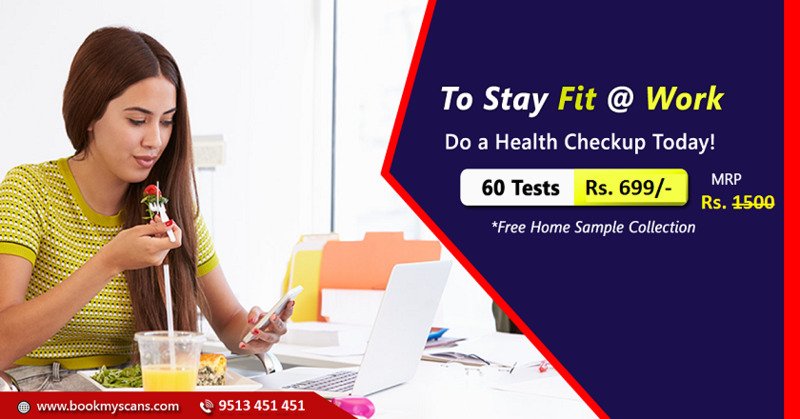 A casual regular health check-up includes an initial discussion with the doctor regarding the clinical and family history of the diseases, past medical history if any, lifestyle information, habits and a physical examination. Depending on the outcome of this discussion the doctor may prescribe a set of tests to be performed. Usually a regular full body check up is made of Blood and Urine tests, Imaging tests like X-rays, Ultrasounds, liver function test, kidney function test, lipid profile and many other cancer specific and age specific tests may be included too. Let us have a look on the details of the tests included in the regular full body check-up in the below section. What are the tests involved in a Full Body Check-up? A general physical examination is conducted initially to measure the vitals of your body including blood pressure, weight, height, pulse rate and temperature. It may also include checking external organs like ears, nose, throat and heartbeat. Complete Blood Count tests. This helps in checking the density of the blood, the number of white and red blood cells, and other factors that help in assessing infections, anemia or indications of other diseases. Lipid Profile is test that assesses your total cholesterol, triglyceride, HDL-C and LDL-C. This helps in diagnosis of the fatty content in the blood which may cause diseases like high blood pressure and help in detecting risks of having blocked arteries that lead to stroke. Checking for the Diabetic profile is also very important. This test calculates the blood sugar level in your body. The blood is usually collected twice, once fasting and other is random or also known as post-prandia (PP) that is 2 hours after food. There is also another test included called Hb1Ac which calculates an average of 3 months of the blood sugar levels in your body. This helps the doctors in deciding if you are diabetic or pre-diabetic. These are the preferred way of assessing diabetes as the process is easy, convenient and less expensive. Liver Function test is also another important part of a full body check-up. It assesses SGOT (Serum glutamic oxaloacetic transaminase), SGPT (Serum glutamic pyruvic transaminase) and Alkaline Phosphate levels in the body. It checks for the liver enzyme values and if the values are higher, it indicates a possibility of abnormal liver cells. This test helps in diagnosing the functioning of the liver and helps diagnosing liver diseases if any. Kidney function tests includes blood serum tests like Creatinine and BUN. Any distraction in the values of these chemicals in the blood indicates that there is a possibility of kidney dysfunction and the level of deterioration and damage can be identified. A chest X-ray studies the chest and the other organs located in that area. Helps in diagnosing diseases associated with the chest area. Ultrasound of the abdomen helps in assessing the organs present in the upper abdomen like liver, kidney, spleen, gall bladder, common bile duct and pancreas. This test helps in detecting problems associated with these organs and to an extent figure out cancer too. These regular health checkups in Bangalore may also include cancer specific tests like PSA (Prostate-Specific Antigen) for men and mammography and some gynecological tests for women. Other age specific tests include Osteoporosis, Bowel cancer screening, Visual acuity and Hearing impairment tests. Why are regular Full body checkups so important? Every individual should undergo a regular full body health checkup after the age of 25. As heart, lung, bowel, thyroid, liver and kidney diseases these days are the most common causes of long-term illness in India, early detection is important for disease prevention and early treatment can save lakhs on your pockets increasing the life expectancy and improving the quality of life. Many of the diseases don’t show up symptoms until it has reached a stage where nothing much can be done. It is very difficult for a family to accept the fact about losing a member against a disease that could have been easily prevented. Regular full body health checkups help find problems even before they start. They can also be helpful in finding health problems much earlier in cases where treatment is necessary for better cure. People in early years went to the doctor only when they found they were ill and the illness never got better. But today with the changing lifestyle and increase of the disease burden over us, it has become a requirement for everyone to visit a doctor regularly to make sure we are keeping good health. A one-off screening will help you find problems and health conditions that may be present at the time of screening, but regular full body checkups helps to detect conditions that may develop after the previous screening. The frequency of your regular full body checkups may be recommended by your doctor, if not, it is always better to have an annual full body checkup. If you are aged between 25 to 35,your doctor may advice you some tests that help in detecting common non-communicable diseases along with some self-check tests for men and women separately. Once you cross 40, it becomes important to know your blood pressure levels, blood sugar levels and other specific tests that help in early detection of cardiovascular diseases and any cancers. Once you cross 50, it becomes important you take all the tests mentioned above along with tests that help diagnose your bone health, dental and ophthalmological health. 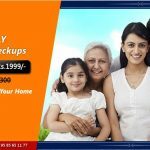 How can you get online appointments for Full Body Checkup in Bangalore? Healthcare is a service that sees no difference in requirement. Every individual equally needs this service. With the current situation of healthcare service in India, it is very important to pre-hand book your appointments to get these services rendered. There are more than 50,000 government hospitals including PHCs, nursing homes, dispensaries and diagnostic centers in India. But, there are not enough doctors, trained technicians and nurses to attend the patients at these places because they are technologically under-equipped and financially less well-paid. All this has led to long waiting hours creating dependency on private healthcare services. It has also given the private players the power of deciding on their prices making the healthcare services difficult to afford for many people since the private medical sector remains the primary source of health care for 70% of households in urban areas and 63% of households in rural areas according to National Family Health Survey-3. Out-of-the pocket expenditure has been putting many middleclass people under debt and few are also being ignorant over the treatment required for their disease only because they cannot afford the cost. It is time to do our bit to help the society have a better health condition, which is why we at Bookmyscans provide healthcare packages for regular health checkups at affordable and discounted prices uniformly for all of them in the need of healthcare and diagnostic services. We are spread across 6 major cities in India like Delhi, Mumbai, Chennai, Bangalore, Hyderabad and Coimbatore partnering with diagnostic centers who are AERB approved and ISO and NABL certified. This is to make sure you get the best quality results and these results are accepted by most of the doctors across these cities. We also audit these centers regularly to make sure they are technically compliant and maintain required quality of results. We work round the clock and our customer care is available 24 hours to attend to your queries. We have served more than 10,000 people so far helping them save more than 1.2 crores. So don’t wait, just book your appointment online with Bookmyscans today for a Full Body Health Check-up. Access to your reports online and availability to download them whenever needed is an added advantage you cannot afford to miss! Health Tip! “Health is Wealth” is an old saying that goes so true! With regular health checkups it is very important to have regular exercise and healthy eating habits. This will not only help you detect tell-tale signs of sickness, but also help you maintain a good health and increase the quality of your life. Let’s not lose our health before time and become burden to ourselves, to those around and the society at large. Instead take charge!